The single most notable advantage of social media based marketing is the ability to target a diverse group of users in multiple ways such as location, background and demographics. This is the primary reason why businesses globally are making big bets on social media marketing and branding. According to the 2016 Social Media marketing report, Facebook and Twitter are the two standouts among platforms which are used by social media marketing professionals with experience in the range of 2-3 years. 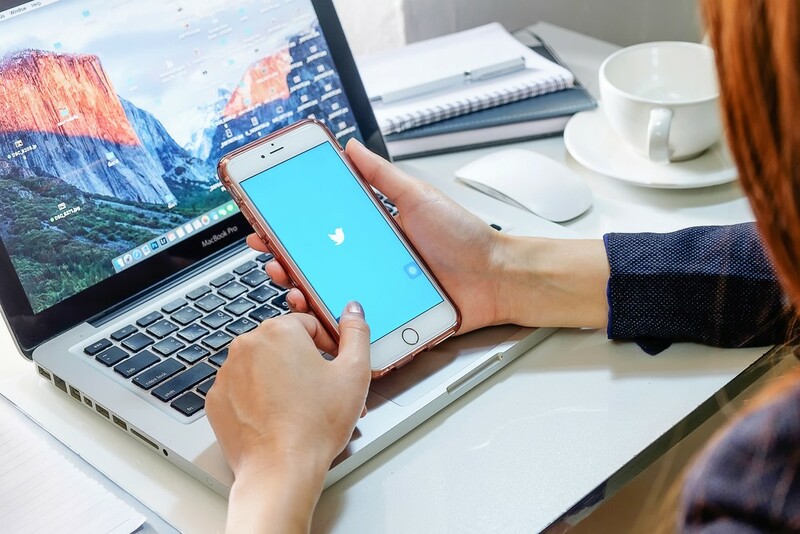 Twitter in particular is well suited for social media marketing due to several reasons including the ability to do geography based targeting, reach out to prospects in an intimate way, run market based research and the ability to run contests and distribute press releases. There are several Twitter based tools guaranteed to improve your marketing strategy. Here are 15 of them. Buzzsumo helps you exactly which content gives you the best performance for any competitor or topic. It also helps you look for and locate the fundamental influencers needed to promote your content. Buzzsumo is a comprehensive solution that provides content related insights, influencer amplification capability, the ability to setup content alerts for content published by other competitors and those that mention your keyword, and competitor analysis. Socialquant helps you get more Twitter followers. Apart from that, it also helps you get increased Twitter engagement, additional website traffic and leads, increase brand awareness and become an industry influencer. By targeting relevant followers, you are able to get increased Twitter engagement such as leads, retweets and more website traffic. It also supports Big Data marketing related efforts by providing information about the exact keywords that are driving growth in followers and associated analytics. Postplanner is a Social marketing intelligence related tool which can help you produce smarter content, better posts and mind blogging results. It helps you find and post high quality content. Some of the critical features include feed recommendations based on your exact interests and the industry you work in. It also supports discovery of new content in various ways, including hashtag, keyword, Twitter handle and Facebook page. RiteTag is a hashtag specific tool that helps you make more informed choices regarding the right hashtags to use. RiteTag gives you an indication of the strength of the hashtag with a color based indication. RiteTag supports all social sites including Twitter and Facebook. It also provides you notifications whenever a new hashtag emerges for your topic. RiteTag also provides you the ability to group hashtags in order to easily perform comparisons. Klear is an influencer marketing tool. The different modules supported by Klear are Monitoring and Reporting, Influencer Search and Social profiles. Under Monitoring and Reporting, the tool supports capability related to social media analytics and listening. Under Influencer Search, you can find influencers with any skill in any location. The social profiles module helps you analyse any social user for smart qualifications, and also manage relationships including private lists. Mention is a media monitoring tool that is extremely easy to use that allows you to analyse competitors, track mentions on social media, generate leads and find influencers. The real-time media monitoring module helps you obtain real time updates on your brand from the social media and the web. This module gives you the ability to monitor the web. Other key modules include those for competitor analysis, custom insights, finding influencers and automated reports. Sprout Social is one of the best social media management software around with modules for social media management, social customer service, social media marketing and agencies. The platform includes the unified smart inbox which can be used to streamline engagement, unlimited custom reports and sophisticated analytics, social CRM tools that include shared customer records, advanced scheduling tools that include ViralPost, customer support features including Helpdesk and team collaboration tools including live activity related updates. Twitonomy is an analytics tool for Twitter. Twitonomy provides detailed analytics on users retweets, tweets, replies and mentions. It also gives you the ability to browse, search and get insights on followers and those being followed. Twitonomy provides the functionality to export tweets, reports and mentions to PDF and Excel in just 1 click. Monitoring functionality for other Twitter users include retweets, mentions and favourites. Advanced Search analytics includes analytics on hashtags, URLs, keywords and users. The main benefit of Zoomph is that it is able to capture analytical data and distil it into narratives that are very specific to your social and campaign audiences. The fundamental strategy that Zoomph employs is to be able to enter all the desirable keywords and track the frequently used words, the most influential users and the location for the posts. The key benefit of Simply Measured Twitter Analytics is that you are able to not able to measure the social media performance and create a clean, customized measurement report for social media measurements. The basic strategy is to enter the link of any public URL and download a PowerPoint or Excel document with charts and graphs showing daily trends and social growth. The primary benefit of Tweroid is that it analyses your followers and informs you about the best time to send out tweets. The key strategy is to learn at exactly what time the tweets get the most engagement and exposure, and do posting based on suggestions. The main benefit of IFTTT is that your social media can be automated by creating recipes/applets of elementary conditional statements. The key strategy is that a Twitter recipe is created that is able to save every single tweet to a spreadsheet or sends out the text of new tweets from a particular Twitter account. The main benefit of TweetDeck is to be able to manage a virtually unlimited number of Twitter conversations from across any number of accounts. The key strategy is to create different columns, one for tracking your mentions, one to track the direct messages and columns for specific hashtags. Social Oomph is an advanced social media management tool with several excellent features including the ability to schedule tweets, track keywords, URL shortening, Secure twitter access and viewing mentions. Tweet Jukebox gives you the ability to boost social media productivity by automating posting by permitting you to load a jukebox with content. The jukebox is then able to handle the posting of tweets on your behalf. Some of the key needs for professionals doing Social media marketing are Influencer search, tracking mentions, Tweet analytics, URL shortening and Tweet scheduling. There are several solutions in the market related to Twitter social media marketing. The specific solution that you choose depends on the exact capabilities that are you are looking for.